I strongly believe that everything is possible – as long as you put your mind to it. I´ve always had to work hard in my life. I struggled a lot at school. For example I was one of the worst English language students in my school. When I was 16 years old my teacher in Sweden said to me: “Pia it´s too late for you, you will never learn English, so you might as well stop trying”. Well, I never stopped trying. I graduated with a 1st class BA (Hons) degree in Marketing from the University of Central Lancashire in the United Kingdom. During my studies I had the privilege of spending six months of my time at Central Missouri State University, USA. I have turned all my experiences into forces for positive change. Today I´m a Quality of Life Consultant or Expert as people around the world see me. I´m the founder of Webbs Consulting and the creator of Webbs Quality of Life Model©. I´m on a big mission to take the model global. I´m also a certified life and career coach, accredited by EMCC (European Mentoring and Coaching Council) at senior practitioner level. 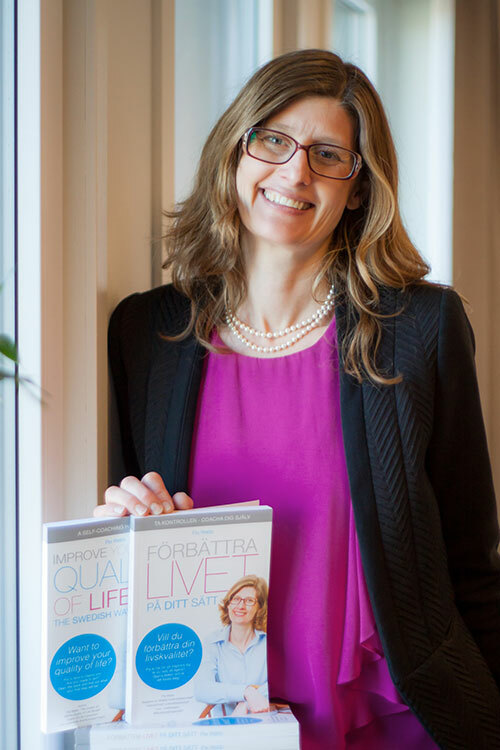 Today I follow my passion for peoples´ well-being by providing life, leadership and business coaching that cost-effectively leads to improved quality of life for the individual and sustainable success for the organisation. Visit www.webbsconsulting.com for more information. Webbs Quality of Life Model©, which I created in 2009, has been a great help to me when reflecting on what is important in life. From the model, the quality of life source `Health´ is the most important to me. I make sure that I eat healthily, exercise regularly and sleep well. I enjoy being a fitness instructor in Swedish Aerobics©, of which I´m the founder. I love spending time in the sauna every week, being outdoors with my lovely family and cooking a great meal with them afterwards. My motto in life is to stay positive by always trying to look at life from the bright side. Positive thoughts create positive feelings – it´s infectious. Best of all, it is a gift we have all been given and it´s free!